After several months of preparations, we held our first official class at Wing Tsun Kwoon on 18Jun2013. This is only the beginning of the next chapter in our Wing Tsun journey. We are very happy to have new students to guide in their own journey and share our passion for the art of Wing Tsun. 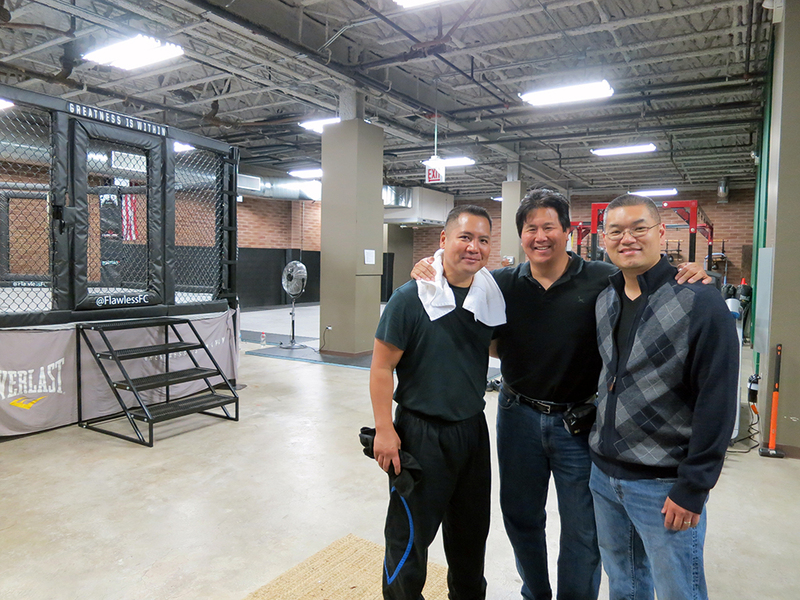 We would like to thank our SiFu Steve Chan (CWTA Evanston, IL) and SiBak Chris Mah (CWTA Northfield, IL) for supporting us in this endeavor and coming to the opening day at Wing Tsun Kwoon. 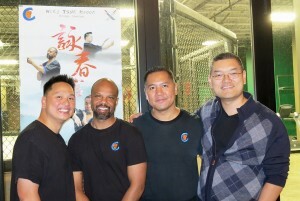 As part of their visit, they presented SiFu Ray’s official CWTA SiFu T-Shirt. 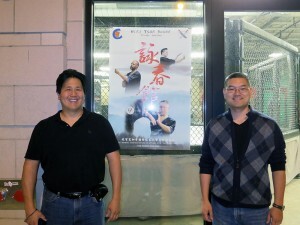 In addition, they gave us the poster and cards from our Wing Tsun brothers and sisters at CWTA HQ in Toronto. Thank you very much SiSok, Si-Hings, Si-Dais, Si-Je, and Si-Mui for your support and sending us these wonderful gifts for our opening day! 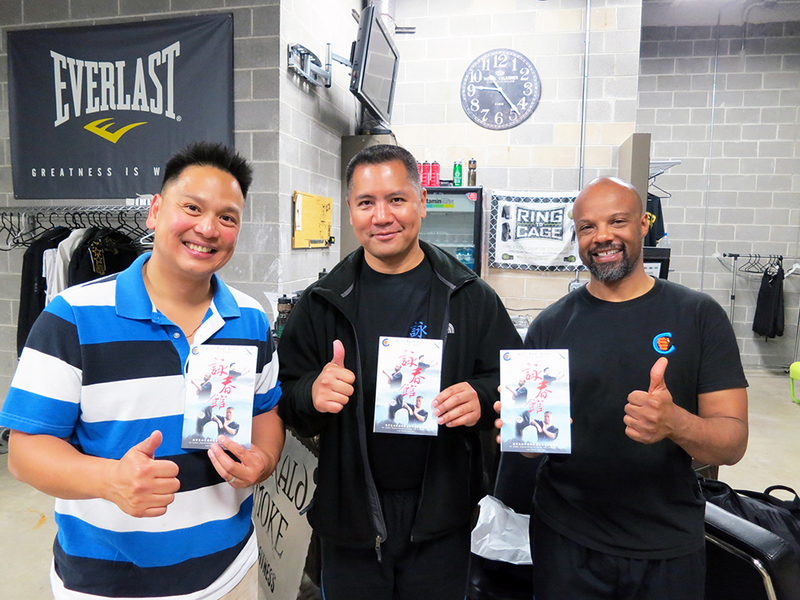 Finally, we would like to thank SiFu Carson Lau. 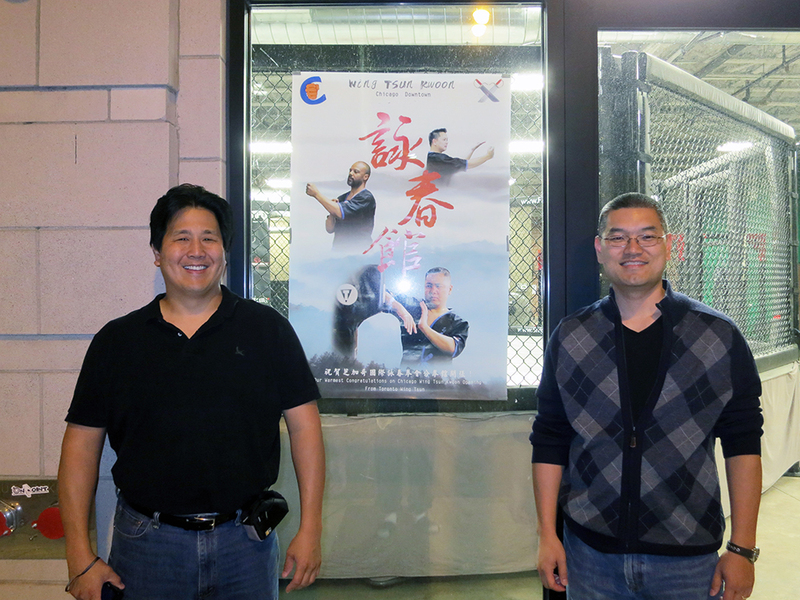 Without his support, guidance and encouragement, Wing Tsun Kwoon would not be possible. SiGung greeted us on our opening day and said 桃李滿門 (“wish your students fill up all spaces in your class”). SiFu Ray, SiSok David and SiSok Allan are humbled by all of the encouragement and support from our CWTA family. It is because of their continued support that help drive us to succeed. We thank you all! 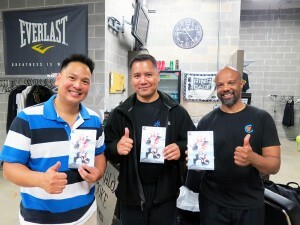 If you are interested in training with us, please register for a Free 2-Week Trial and experience Wing Tsun Kwoon’s classes for yourself (https://wingtsunkwoon.zenplanner.com/zenplanner/portal/freeTrial.cfm). Please help us spread the word by linking this blog post on facebook and twitter, or directly emailing it to your family and friends. We hope to see you in class on soon!